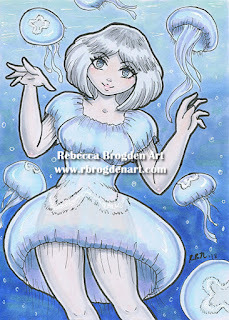 Description: 8.5 x 11 copic marker drawing for sale. More info here: Click here. Her name is Prissy. I meant to post this last year as this was finished in 2016, but I have had some health issues and other stuff come up. Hoping that 2017 will be a better year for all of us. Happy New Year and God bless!